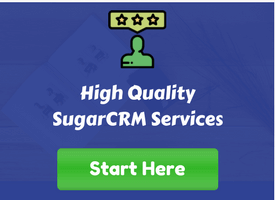 SuiteCRM is a fork of the popular open source SugarCRM Community Edition. 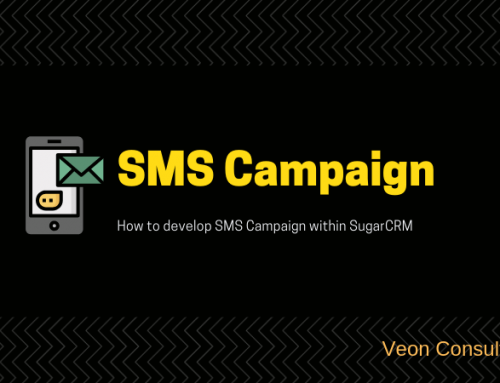 It has additional modules as compared the ones SugarCRM community edition provided by default. The platform is used extensively by small to medium sized organisations. View this info-graphics to understand the growth figures SuiteCRM has registered over the years. In this article, we will go through sequence of steps for successful installation of SuiteCRM. We will describe the steps for Windows as well as Linux OS. 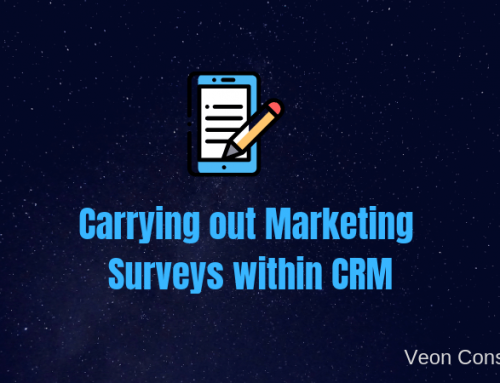 If you are looking at someone to get you started with the platform, discover why our SuiteCRM services are just what you need. Before we start with the installation, we need to ensure that we have the right system specification. Apart from the system specification, we also need to make sure that the required libraries are enabled. Following are the recommended components. After ensuring that you have the right server specifications, you need to have the following PHP extensions enabled. Following are the sub-steps while ensure that you have correct system files when you put the software on your server. 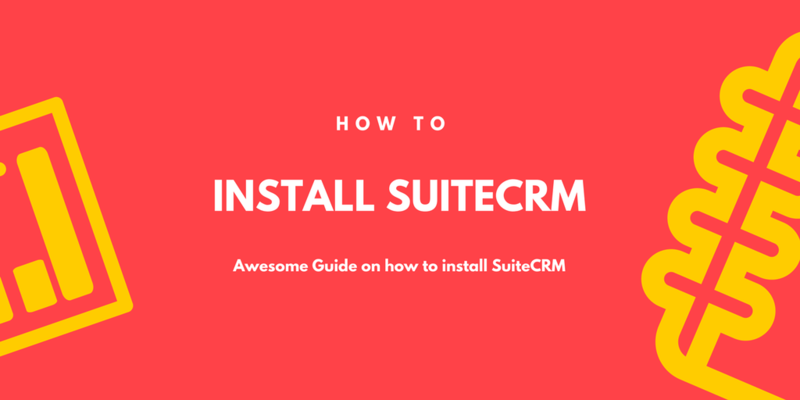 Download SuiteCRM from URL https://suitecrm.com/download. If you are not an existing user, register with SuiteCRM and download the SuiteCRM Zip file. Unzip the downloaded file and copy all the extracted files to the Server’s root folder(www directory). sudo chmod -R 775 cache custom modules themes data upload config_override.php(775 is used to make folder writable). 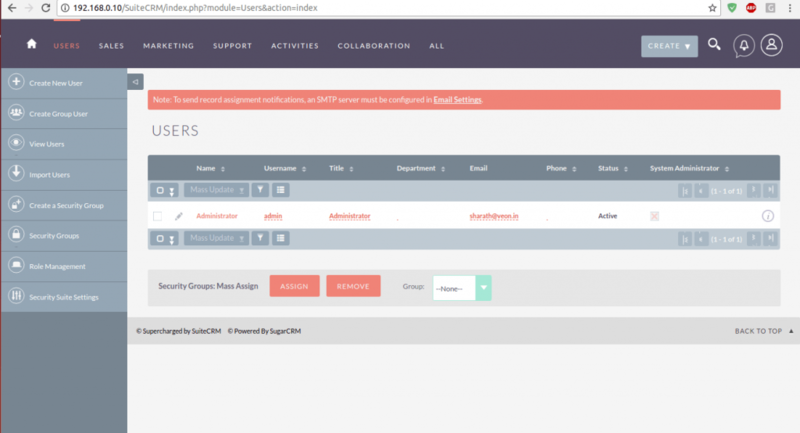 Open your SuiteCRM in the browser. SuiteCRM automatically detects whether this is a fresh installation or already installed on the server. Based on the detection SuiteCRM redirects the page to Installation Page or Login Page. Once redirected to Installation page, the first page consists of the License Agreement(GNU Affero General Public License). Once the License is accepted and clicked on Next Button. 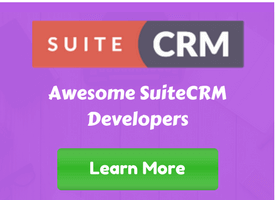 SuiteCRM automatically checks for all the prerequisites of the Server that are needed to run. Once everything is OK then you can proceed further by clicking on Next. If you get any errors in the above page then the errors need to be resolved or else functionalities related to that errors will not be working. Next is the Configuration page – this page consists of the DataBase configuration, SMTP server setup, Branding of the Organisation, Security, Site Configuration. Host name is the database server host name. User is the user name having access to the Database. 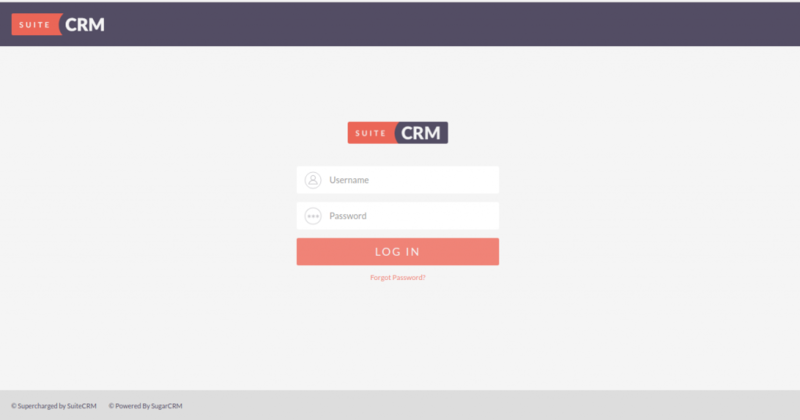 SuiteCRM Application admin name is the login user name for the Application whose has the complete authority and access over the application. URL of SuiteCRM Instance is the URL path to the SuiteCRM instance. Fill in the details of the STMP server that the organisation uses. In this section Name and Logo of the organisation is added. In this section the default Timezone, Date format and Currency of the organisation must be provided. The Date format, timezone and currency can be changed based on the regular User. Fill this section to increase the security of the application by selecting the parameters in this section. Once all the above data is filled. Click on Next. SuiteCRM installation will start and the page is redirected to the login page. Login with admin username and password which you have given in the Site configuration. 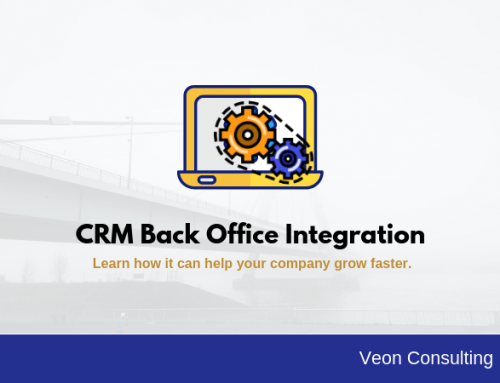 After login you will get the dashboard of the CRM. 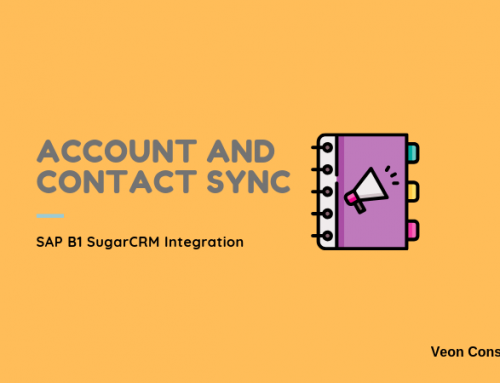 Administration consists of different configuration options to modify the SuiteCRM like changing the SMTP Email Server or adding Users or Team or viewing Logs etc. In this section below, we will be going through the User Management and System Settings. In this section we can manage user accounts and passwords. By default under users list view we will find the Administrator User. In this section the admin can create the users by filling all the required fields. Themes can also be set for the each User(By default SuiteCRM has 3 Themes). 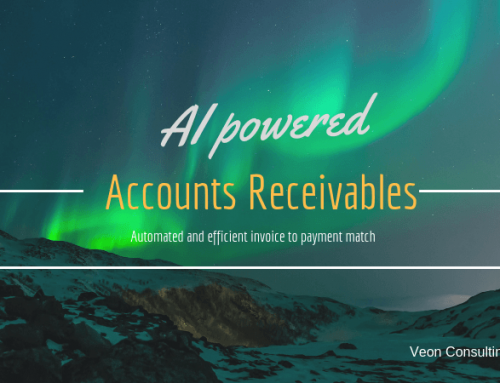 Basic User settings can be configured like Email Notification on Assigning a new record to that user or Display only required modules for that user or configuring language, date display and Currency settings. Once the user is created a e-mail is triggered to the user for setting up the password. Once the user is created admin can set him up for the particular role of his job. Roles can be found under Role Management under Admin section. User Interface section consists of the Branding, Logo of the organisation, How many records to be displayed in the List View and sub-panel and configuring the Ajax module(Enable or Disable Ajax for the Modules). In this section, we can change the technical settings like turning on / off developer mode, Log configuration(Log Slow time taking queries, Log memory usage, errors). In this section, we can change the name, size of the log. We can also select the level of the log to be put in the log like Fatal errors, Debugging, Warnings, Deprecated Errors and info. We can also view the logs by clicking on the “View Log”.